Public Bulletin Visit the Long Pond Classic webpage and Facebook for lots of updated details for 2019 event! 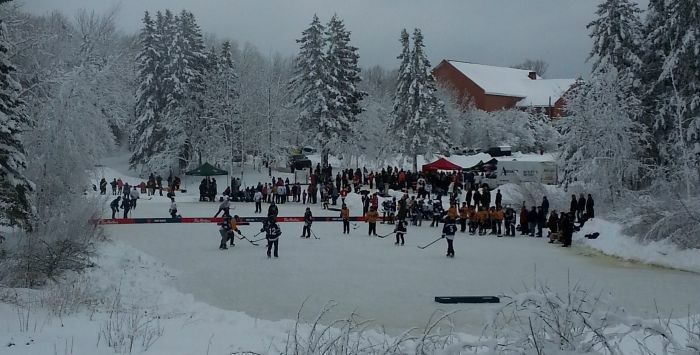 The Long Pond Heritage Classic offers hockey enthusiasts an historic opportunity to play Canada’s favourite sport on the pond where it all began, more than 200 years ago. Even better, the Long Pond Heritage Classic is a chance to preserve hockey’s legacy, as funds raised through the tournament support the Windsor Hockey Heritage Society and the Hockey Heritage Museum in Windsor, Nova Scotia. 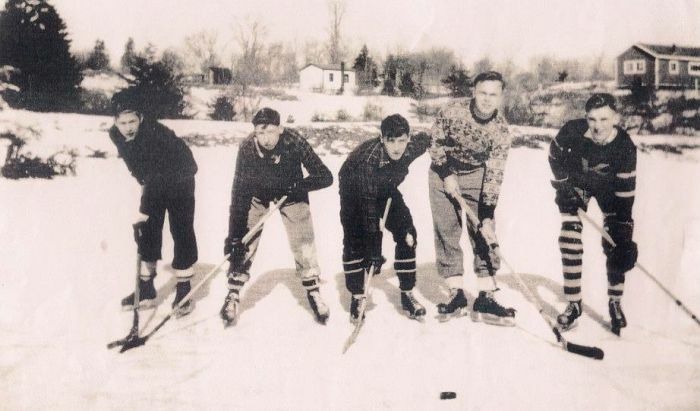 Long before Olympic glory and the cheering of sold-out crowds, hockey was a game that children from Windsor, Nova Scotia had adapted to play on Long Pond. Two hundred years later, hockey is more than Canada’s national winter sport – it’s our national passion. Help us in our continuing efforts to preserve the history of our incredible sport. This January, players will gather as they did for the inaugural tournament in 2012. They will don custom, vintage-inspired jerseys of the original teams and make the historic trek to Long Pond to play the historic game of shinny on Long Pond, the cradle of hockey in Windsor Nova Scotia the Birthplace of Hockey. Spectators get in free to watch the Long Pond Heritage Classic games! Visit Long Pond Heritage Classic webpage and/or Facebook for all details. Mon – Fri: 9:00 am – 5:00 pm (daily in Sep & Oct).